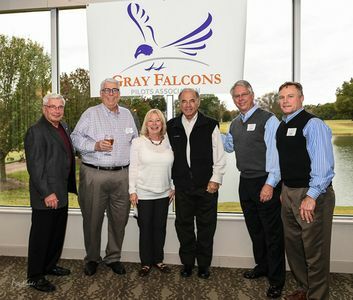 The Gray Falcon Pilots Association was organized to benefit FedEx pilots, spouses, and specially invited Fedex employees and retirees. The Association provides a means by which members can receive current information about corporate activities, cost saving benefits, socialize with other members, and participate in philanthropic functions. 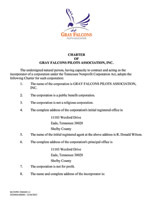 The Gray Falcon Pilots Association is a non-profit, tax exempt organization under section 501(c)7 of the Internal Revenue Code. Donors to the Gray Falcon Pilots Association may not deduct dues or contributions from individual returns. Philanthropy through the Association may be allowable. The mission of the Association is to pursue and promote the social, cultural, and recreational welfare of FedEx pilots, specially invited Fedex employees and retirees. We are partnered with FedEx, especially its Air Operations Division, to keep up-to-date on latest aviation developments while recognizing the past contributions of all retired FedEx pilots. 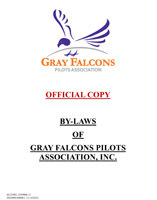 The information contained on this website is intended for the sole use and benefit of Gray Falcons Pilots Association, Inc. and its members. While Gray Falcons Pilots Association, Inc. monitors and updates this information as deemed necessary by it, Gray Falcons Pilots Association, Inc. makes no representations or warranties of any kind, express or implied, about the completeness, accuracy, reliability, suitability, fitness or availability with respect to the information contained on this website or any products or services referenced on this website. Any reliance you place on such information is therefore strictly at your own risk. In no event shall Gray Falcons Pilots Association, Inc. be liable for any loss or damage to any person that utilizes this website, including without limitation, indirect or consequential loss or damage, or any loss or damage whatsoever arising out of, or in connection with, such person's use of this website.